Trademarks, what is the point? In my last article, I touched on the importance of your intellectual property and various ways for you to protect them in order to maintain the advantages they bring to you over your competition. These days, patents seem to be getting a lot of attention particularly in the technology space. We’ve got software companies suing each other and some technology giants suing each other across the globe over patents. But did you know that trademarks are equally important? So what are trademarks and why should you pay attention to them? Read on to find out. A trademark in its most basic form is a claim staked by a person, business organization or any legal entity over exclusive properties of products and services. It’s a specific sign, design or expression that sets you apart from the rest. It’s something that people can recognize as uniquely yours. Given that definition, trademarks aren’t just limited to words, phrases or names. They can also be your logo (like Nike’s iconic “Swoosh”), or a specific design found on your products (for example, the Louis Vuitton fabric pattern) or any combination of those. 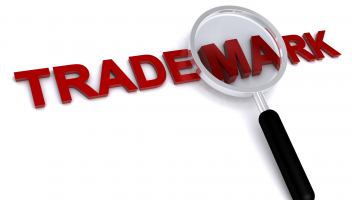 Trademarks are usually identified by the Trademark Symbol made up of the letters ™ for unregistered trademarks, ® for registered trademarks, and ℠ for registered service marks. Trademarks are important because they are something that your customers will instantly recognize and link to your business. They create your identity in your market, your brand. Trademarks are also important in preventing confusion among consumers. Imagine if Apple did not care about their trademarks and allowed every singly tablet maker to name their tablet “iPad”. Because your trademarks are so closely associated with your business, they will become important assets for you in establishing good customer relationships and trust. They are so important in fact that even if they do not know your business name itself, they can link your product’s name or your logos to quality and excellence. For many companies, their trademarks have become even more valuable than their physical assets. As such, these companies will go to great lengths to continue to promote these trademarks and protect them from unauthorized use. As the owner of your trademarks, you have every right to prevent third parties from using your trademarks. For example, if you are a comic book writer and artist, you can prevent anyone from using your popular characters for their own gains. The Flappy Birds saga is an example of how quickly opportunists can pounce. The beauty of trademarks is that you can also license them. Licensing trademarks can open new revenue channels for you and your business while minimizing your risk. In my previous example, the artist can license his characters so that they can appear on lunchboxes, backpacks and notebooks and earn from the royalties from the sale these items without shouldering the direct costs from manufacturing. Should anyone decide to use your trademarks without your permission, you will be protected by the law and will have the right to prevent them from doing so. Of course the law will vary across countries, but the basic protections will be similar. In some countries, trademarks can actually last forever. However, there may be a maximum number of years allowed where you need to demonstrate lawful use of that trademark. It’s best to read-up on your country’s intellectual property laws and school yourself on the basics of maintaining ownership of your trademark in your country. Trademarks play a crucial role in business. It isn’t something you can simply overlook if you value your brand image and your customers’ relationship with your brand and trust.